9th Year in a Row we have had to turn passengers away. Most Beautiful Place on Earth Don’t miss out – Act Now!! Over the last 9 years only the Holy Land has been more popular! in the world AND every year it sells out. “This was the most spectacular trip I have ever taken anywhere in the world.” Statement from S. Michael Wilcox. It really isn’t freezing!!! The climate is dry and sunny with temperatures around 40 degrees 24 hours a day during the Antarctic portion. Cruising the Antarctic is not done from miles away! You are able to get up close to the most beautiful majestic land on earth. It literally can take your breath away! Your cruise includes more than the Antarctic. It includes the Falkland Islands, Argentina, Chile and Uruguay with many ports of call. It also includes the Chilean Fjords, Cape Horn, Terra del Fuego, Strait of Magellan, Beagle Channel, Drake Passage, Penguins, seals, whales and so much more! You can add an optional extension to Iguazu Falls; the BEST falls in the world. There is not space to adequately explain the majesty and beauty of Iguazu Falls. Simply put – IT IS THE #1 FALLS IN THE WORLD! When Eleanor Roosevelt first saw the falls, her reaction was “Poor Niagara”. It could be one of your single best touring days anywhere in the world. Tours and Ports of Call in Chile: Punta Arenas, Valparaiso and Puerto Montt, Castro Isla Chiloe & Puerto Chacabuco. From the Ship: The Chilean Fjords (more majestic and beautiful than Norway’s fjords), Canal Sarmiento, Strait of Magellan, Beagle Chanel, Glacier Alley, Drake Passage and Cape Horn. Tours and Ports of Call in Argentina: Buenos Aires, Puerto Madryn and Ushuaia PLUS and Optional Tour to Iguazu Falls! It is a must. Tours and Ports of Call in Uruguay: Montevideo. The most beautiful place on earth – the Antarctic Continent. All of our passengers felt this was the most beautiful place they had ever traveled to AND the best day on tour anywhere in the world! 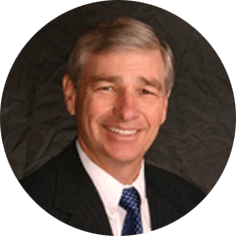 Fun For Less Tour’s Educator: Dr. S. Michael Wilcox. You get all of this and more – Plus you are sailing on a Luxury Holland America Ship. Now is the time to act. Call us now for more information or to reserve your space. Inside Upgraded Cabin on Holland America’s MS Zaandam. $440 in ship port charges and fees. 5-star luxury hotel in Santiago Chile. Transfer ship to airport in Buenos Aires if arranged around Fun For Less Tours group flight. Transfer Santiago Chile Airport to hotel if arranged around Fun For Less Tours group flight. Tour of Valparaiso Chile, including guides, buses and entrance fees. Tour of Santiago Chile, including guides, buses and entrance fees. Shore excursions are not included in our package: We give you the OPTION to purchase our discounted shore excursions, that are less than the ship charges. International Airfare to be announced around 9 to 10 months prior to sailing. You can also purchase your own airfare. If you need a quote from another city contact our office. Day 1: January 7: Fly to Santiago. Today we depart from home and travel to Santiago. Day 2: January 8: Arrive Santiago. We arrive into Santiago today. Upon arrival we will either start our city tour or transfer to our hotel where we will overnight. This is all depending on how late the flight arrival time is. Today we will travel along the coastline to Vina Del Mar, a seaside resort with palm tree-lined avenues and lovely villas, truly the “Pearl of the Pacific”. We then visit Valparaiso with its historic port. In the afternoon we will transfer to our Beautiful Holland America Cruise Ship. In addition to enjoying your ship, we will have our own get together social and hear from your Educator. The ship will spend the day in Port. For those doing our option package: Our tour will take you into the countryside, to see the beautiful azure-colored waters of the Petrohue Waterfall and river. We also include a visit to the old German Village of Frutillar. The Village is filled with timbered homes, gabbled roofs and German bakeries. We will return to Puerto Montt in time to do a city tour before returning to our ship. For those doing our option package: Today we begin with a tour of Castro to get a feel for the culture and learn of its lengthy history including Spanish Conquistadores and Dutch pirates in the 16th Century and Darwin’s visit in the 1834. Later we explore the verdant countryside on our way to visit three villages Dalcahue, San Juan and Tenaun. Each of these rural villages boast a unique heritage from beautiful churches, local handicraft markets and rich fishing heritage. This full day tour will leave you with a deeper understanding of the people and history of Chiloe Island. For those doing our option package: You will discover the stunning scenery, dense rain forests, bright blue lakes and snow-covered mountain peaks as well as a tour of Chacabuco. The Chilean Fjords are more spectacular than Norway’s or Alaska’s. They stretch for over 1,000 miles of virgin-forested islands, glistening glaciers and more fjords than in all of Scandinavia! You will be among the very few that have ever sailed through the Terra del Fuego, with its snow-capped peaks and beautiful blue glaciers of Canal Sarmiento. Cutting through Chile’s Torres Del Paine National Park, this Majestic waterway is surrounded by beauty beyond description, including the Amalia Glacier. Punta Arenas is a remote town, pioneered by Yugoslav settlers and sheep ranchers. It sits on rolling hills overlooking the strait of Magellan. The strait of Magellan is where the Pacific and Atlantic oceans converge. The strait, protected by both the mainland and islands of the Tierra Del Fuego archipelago, was considered safer than Cape Horn or Drake Passage. For those doing our optional tour package: We will tour Punta Arenas and spend some time shopping before returning to the ship. This morning we will pass through Glacier Alley, it is more impressive than anything you have seen in Alaska. We will then dock at Ushuaia, the most southern city in the world. For those doing our optional tour: Our tour today will include a tour of Tierra Del Fuego National Park. You will visit the end of the world’s longest stretch of road. The Pan American Highway stretches 11,987 miles from Alaska to Tierra Del Fuego. We will also have time to tour Ushuaia and give you time to shop before returning to the ship. The Cape Horn marks the southernmost point of South America. The cape’s steep and rocky cliffs rise up and extend into the Drake Passage, where the Atlantic and Pacific Oceans meet. Ancient Mariners dreaded rounding the Cape because of its reputation for bad weather. We will only spend one hour cruising around the cape. Today we will sail by Anvers Island (Palmer Station) Cuverville Island and Peterman Island. We will skirt jagged cliffs to Anvers Island, home of the U.S Antarctic Biological Research Center – Palmer Station. In the past they were able to have some of the scientists to come aboard and talk to everyone. We will also see the wide cobbled beaches of Cuverville Island, home to Antarctica’s extensive colony of Gentoo Penguins. The Petermann Island is where French explorer/ scientist Dr. Jean Baptiste Charcot studied the Adelie Penguins during the winter of 1909. We continue to sail through the Antarctic area and to some of the most beautiful places in the world. Today we sail to Hope Bay (Esperanza Station), Paulet & Elephant Islands. At Hope Bay the scarlet chalets of Esperanza, an Antarctic Argentine military and scientific station, stand in stark contrast to the white Ice. Paulet Island has several million Adelie Penguins nesting on ever available beach – and at Elphant Island, you can hear the riveting account of Shacketon’s ill-fated expedition and the crew’s heroic daily struggle to survive. Today we finish sailing through these beautiful lands. We hope you enjoyed sailing throughout Antarctica. You have a wonderful fun day at sea to enjoy your fabulous cruise. Once you get past the end of town, it is the end of the road, from here you can only travel by 4 wheel drive. We do not offer a shore excursion here, it is just fun to experience Scotland under the Southern Cross on your own. Pt. Stanley is filled with moorland, pubs, red phone booths, sheep ranchers and “cuppa tea”. Enjoy your wonderful day at sea. For those doing our optional package: We will do a tour of Puerto Madryn area. For those doing our optional package: We include a one half day tour of Montevideo’s water front, Legislative Palace, Parks, a trip to Montevideo Hill for a spectacular view and more before returning to the ship. For those doing our optional package: We will spend the day enjoying Buenos Aires – “Paris of the South”. Our tour will include the Boca District, the birth place of the Tango and the Plaza De Mayo where Evita Peron once addressed adoring masses. Our tour will also include Recoleta & Palermo neighborhoods, the Ping house, the Cathedral, graveyard and more. You will have time to shop and enjoy Buenos Aires, before returning to the ship and overnight. Today we unfortunately must say good bye to our beautiful cruise ship. For those passengers who are doing the Iguazu Falls Extension we will transfer to the airport for the flight to Iguazu Falls. For all other passengers we will finish any touring in the Buenos Aires area and then transfer to the airport for our evening flight back home. Group arrives early morning into the US and flies home. Note: This package is only available for those that also sign up for Option #1 – shore excursions. Airfare Buenos Aires to Iguazu and airfare Iguazu to Buenos Aires. ***Note: when we add airfare from Buenos Aires and Iguazu to our international carrier, you get a discount on the Iguazu airfare. If you do your own airfare for this cruise and choose to add the option to Iguazu, you will have an additional cost. Please ask and we will let you know the difference not saved when you buy the international air with Iguazu. 2 nights accommodations in a 5-star luxury Hotel around Iguazu Falls. Complete tour of Iguazu area and Iguazu Falls. It includes visiting the falls at the bottom, middle and top. Jet boat ride up close to the bottom of the falls. From what we understand Holland America has a 12-hour tour while you are in Buenos Aires. It is done in one day. It does not include any hotels, it just flies to the Falls, spends a few hours and flies back. The Cost: Over $1,600 for the one day tour. 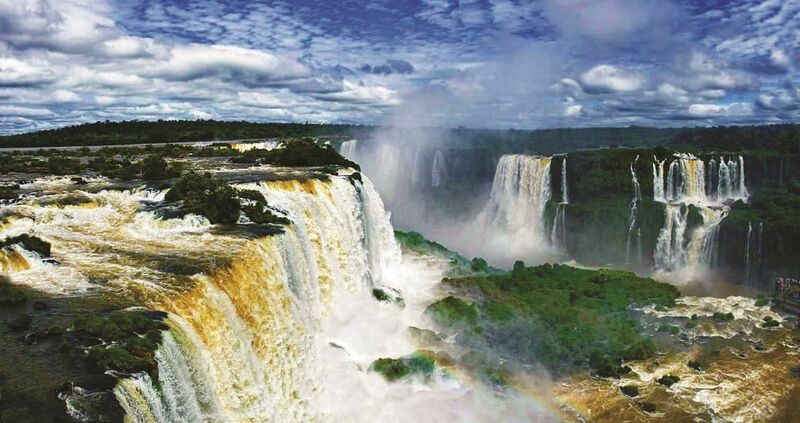 Our tour includes 2 days of touring all of the falls and the area, two nights hotel in 5-star luxury and a jet boat ride to the falls, 1 additional night hotel in Buenos Aires before flying up to Iguazu Falls which helps to break up the international flight. To beat it all our price is under what the cruise line charges.